The next place of Jammu and Kashmir that we were planning to explore was the place with amazing landscapes- Ladakh. Ladakh is awesome lands bounded by the splendid physical features that are settled in a vast landscape and, because of this, it come into sight as beautifully desolate and remote. Leh is the center of operations of Ladakh, and is a captivating destination. We were visiting the elegant Shanti Stupa that is sited on a hill top in a place called Chanspa, Leh district, in the north Indian state of the paradise place-Jammu and Kashmir. The Stupa was constructed to endorse world peace and prosperity and to venerate 2500 years of Buddhism. It is also considered as a representation of the friendly ties among the populace of Japan and Ladakh. This Shanti Stupa embraces the remainder of the Buddha at its base.We reached the Stupa and couldn’t stop ourselves from praising the awe-inspiring panoramic view of the adjoining landscape. The gorgeous positioning of the Stupa makes it a famous tourist attraction, along with it to be a place of religious significance. We were observing the architecture of the Shanti Stupa. It was built as a two level structure. 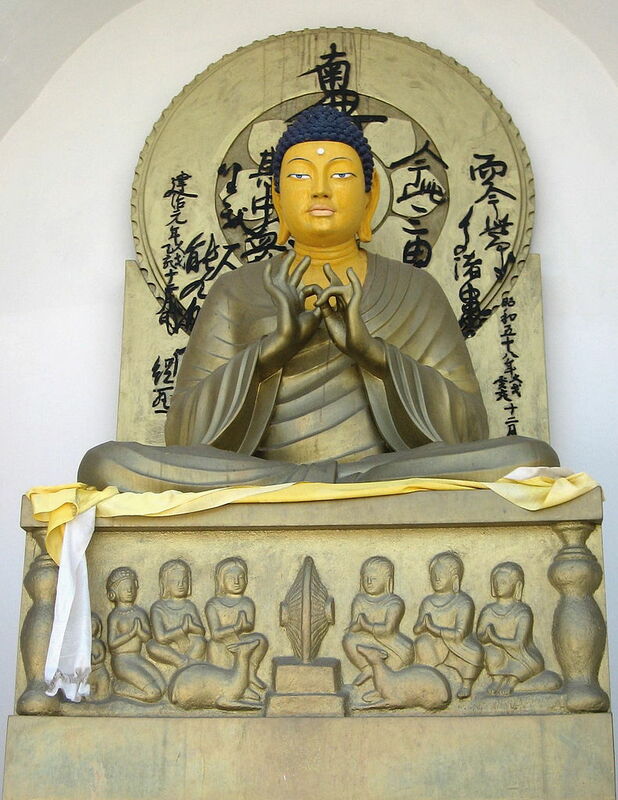 We entered inside and had a magnificent look at the golden Buddha image located centrally in the first level; which was sitting over a podium that was depicting the Dharma-chakra. 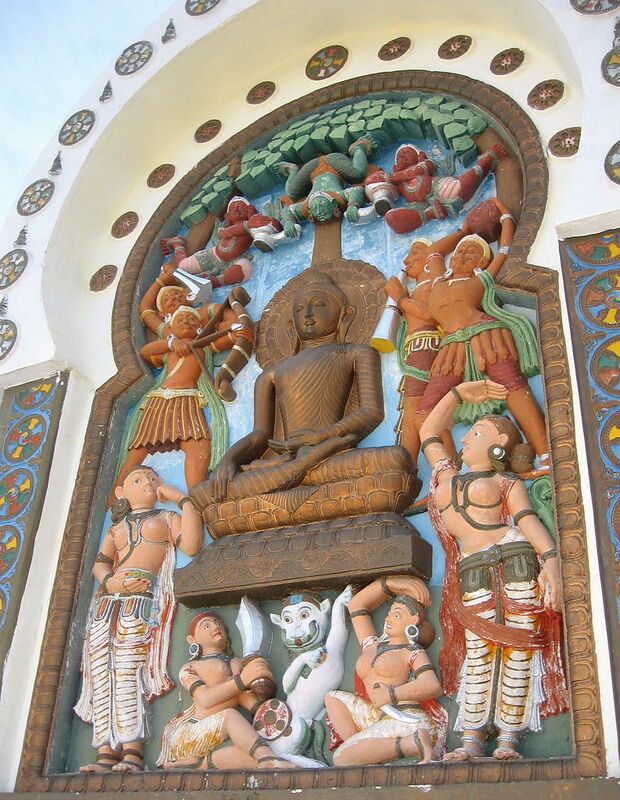 We moved further to the next level which was holding reliefs that depicted birth of Lord Buddha, his death and his “ defeating the devils” while meditating. It was so peaceful and good to be there. 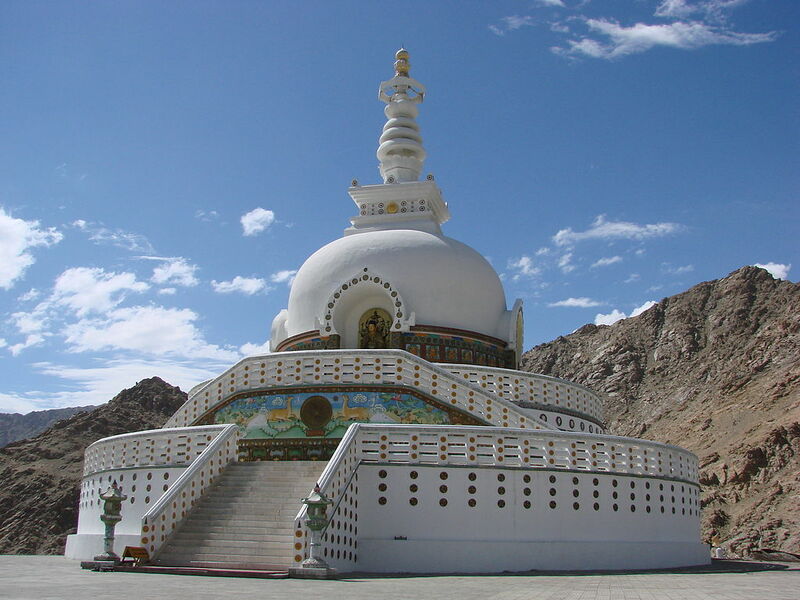 Our engineer friend, Rishabh noticed that the architectural style of the Stupa was very different from the traditional style of Ladakh, and we all agreed with him. We were told that the sunrise and sunset were the best views from the Stupa, so we were waiting for sunset, and were acknowledging the place meanwhile, and clicking pictures in various poses. With the commencement of dusk and with the spreading darkness, the Stupa was illuminated with lights and that was the best view of Stupa amid the glittering lights. We stayed there for a long time before our way back to the district of Leh. 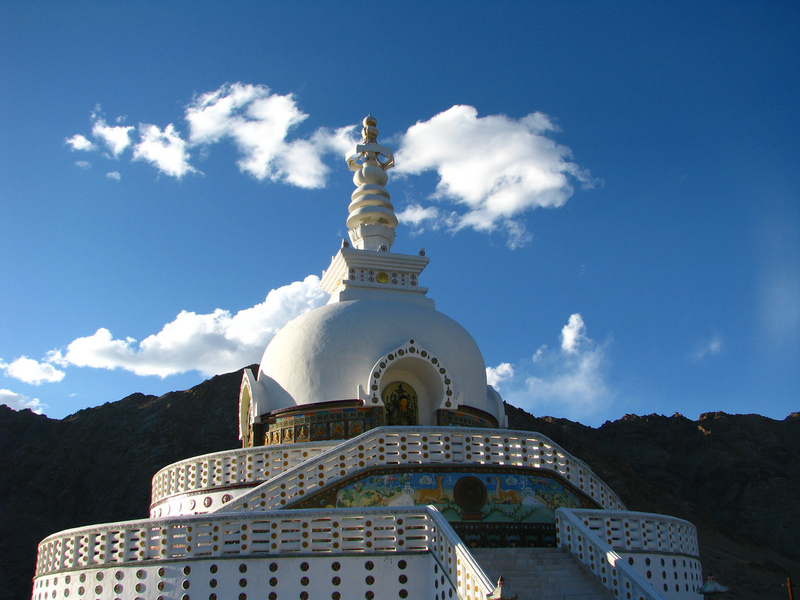 This entry was posted in Attraction, Tourist Place, Travel and tagged jammu and kashmir, shanti stupa ladakh. Bookmark the permalink.